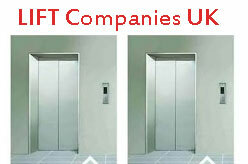 Lift companies in England, Wales, Northern Ireland and Scotland. – Maintenance, Refurbishment, Installation and consultancy. Lift Upgrades, Lift Maintenance, Lift Repair, 24 hour breakdown assistance, Lift Shaft Clean down service and 24 Hour Lift Standby Service. Lift company in London offers bespoke service, repair service, maintenance service etc. Offers Lift Installation, Lift Maintenance and Lift Servicing. Inchinnan Road, Paisley PA3 2RS, Scotland. Lift installation, Lift modernisation, Lift maintenance, Service repairs and Lift 24-hour call out. Wren Court, 15-17 London Rd, Bromley BR1 1DE. Lift Maintenance, Repair, Upgrade & Refurbishment. Daventry, Northamptonshire NN11 8RD, UK. Colchester, Essex CO2 8JW, United Kingdom. +44 (0) 1992 650486 (Technical). Essex RM8 1QD, United Kingdom. Lift Installation, repairs, and modernisation across London, the Home Counties and the South East. Covers Essex, Hertfordshire, Cambridge, East and North London. Medway City Estate, Rochester, Kent ME2 4HU. Service Centres in Birmingham, Glasgow, Newcastle and Tunbridge Wells. Eynsford R, Crockenhill, Swanley BR8 8EJ, United Kingdom. Livingston, West Lothian EH54 6TS, Scotland. Offices in Martock, Bristol, London & South East. West Midlands B63 3PP, United Kingdom. Yateley, Hampshire GU46 6GA, United Kingdom. Somerset TA6 4BH, United Kingdom. Industrial & Marine Lift Services Ltd.
Green Lane, Heywood, Lancashire OL10 2EP. England. Harold Hill, Essex, Greater London RM3 8SB, UK. Phone : 0208 527 9669 (London), 0116 269 0900 (Leicester), 01535 609 311 (Keighley). 6 Falcon Park, Claymore, Tame Valley Ind. Est. Northampton, NN3 6QB, United Kingdom. London N11 2UT, United Kingdom. Bow, London E3 5TE, England. 01706 714590 (Liftec Northern, Rochdale). Kent DA15 7DG, United Kingdom. Kent, ME20 7DH, United Kingdom. Barton Dock Road, Trafford Park, Stretford, United Kingdom. Phone : 01626 773 761 (Teignmouth), 01392 248 881 (Exeter), 01752 547 973 (Plymouth). Street Upminster, Essex RM14 3PJ, United Kingdom. Romford, Essex RM3 0BS, United Kingdom. Wakefield, West Yorkshire WF4 4TD, United Kingdom. Units 6-7/Hookers Rd, London E17 6DP, United Kingdom. Asquith Avenue, Morley, Leeds LS27 7RZ, United Kingdom. 71a High Road, London E18 2QP, United Kingdom. Stoke On Trent, Staffordshire ST4 3PE, United Kingdom. Braintree, Essex CM7 2QJ, United Kingdom. Ecocell Self Evacuation Lifts and VERMAPORT® Shopping Cart Conveyors. Commercial lift installation & lift modernisation in Glasgow, Edinburgh & throughout Scotland. Wrexham Road, Mold, Flintshire, CH71HP, United Kingdom. London SE25 4PR, United Kingdom. West Yorkshire BD21 4PF, United Kingdom. London, SE12 0DZ, United Kingdom. Knutsford, Cheshire WA16 8PR, UK. 0345 365 5376 (London Office). Stockton on Tees TS18 3TB, United Kingdom. German based multinational elevator company. ThyssenKrupp Elevator United Kingdom and Ireland’s registered office in Nottingham and head office in London. Nottingham NG7 2UL, United Kingdom. Rayleigh, Essex SS6 7XL, United Kingdom. Dorset BH14 0HF, United Kingdom. Essex, IG8 7DA, United Kingdom. Page updated : 27th May, 2018.